The Jenolan Caves Historical & Preservation Society (JCH&PS) was formed in June 1972 by a dedicated group of individuals interested in preserving the history of Jenolan Caves. At the time JCH&PS was intent on saving the old post office (pictured) which was under threat of destruction. The post office was saved and is now the museum. The society has continued to preserve Jenolan history ever since. Membership is open to all with a variety of events occurring throughout the year. 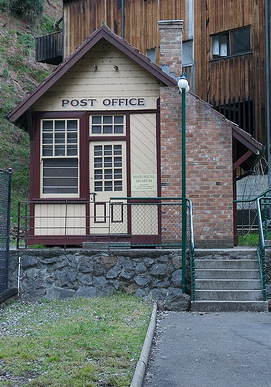 On special occasions, members of the society open the old post office at Jenolan Caves for day visitors to peruse the numerous artifacts from days gone by. The society participates in many activities, which includes but is not limited to collecting, storing, displaying and cataloging ephemera to do with Jenolan Caves past and present. It also writes, publishes and sells occasional papers and out of print booklets to members and other interested parties. JCH&PS publishes a quarterly newsletter the Binoomea which is made available to its members. Each year an annual general meeting is held in February, sometimes preceded by a dinner in Chisolms dining room at Caves House.